The design of this recipe is inspired by French pastry Millefeuille that consists of layers of thin puff pastry and cream. The traditional Mille Feuille cake has the basic flavors of vanilla and custard but the texture looks just so amazing. 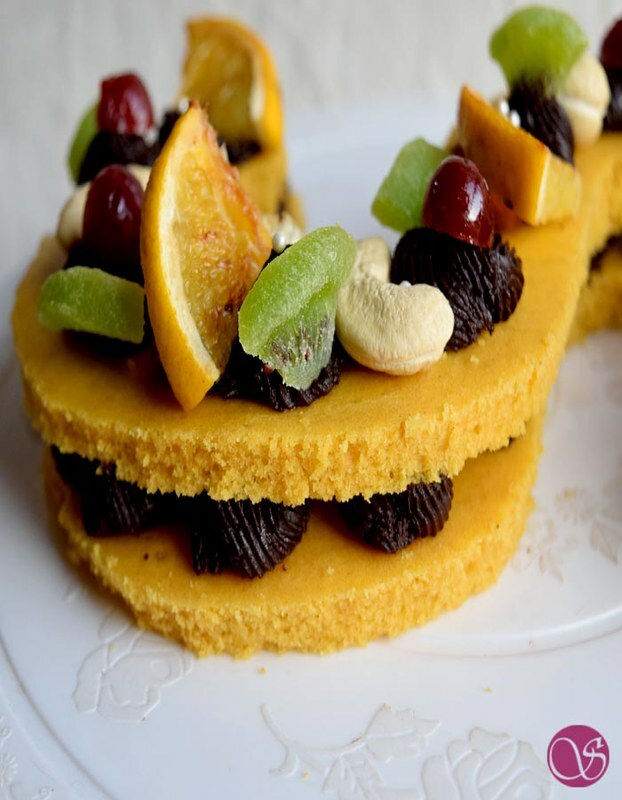 The exotic name Dusk and Dawn Gateau – Millefeuille for this exotic recipe was given by Gautam Mehra, my friend. The traces of French pastry Mille Feuille were first found in François Pierre La Varenne’s cookbook in 1651. The moment I saw this French pastry for the first time, I decided to bake it in my own oven. But I just cannot bake anything without giving it a healthy twist, certainly not my type. Unlike the traditional Mille Feuille recipe that uses all-purpose flour, I used whole wheat. That’s my way of making things healthier. This recipe is completely eggless, a perfect recipe for me. I layered the eggless whole wheat orange Mille Feuille cake with dark chocolate ganache a match made in heaven. The health quotient of this French pastry millefeuille multiplied with healthy ingredients for garnishing. Caramelized orange wedges with brown sugar and cinnamon. Used roasted cashews, roasted almonds, cranberries, Pitted cherries and dried kiwi. Different color of different nuts and fruit made the final outcome fantastic. Ok, let’s jump straight to the recipe now. In a pan take cream and bring it to boil and switch off the flame. Add chopped dark chocolate to it. I used Lindt dark chocolate. Stir it well until chocolate dissolves completely. Add butter, give it a stir and let it rest until it comes to room temperature. Take a pan and heat it on medium flame. Add 1 tbs of brown sugar to it. When sugar starts melting, add cinnamon and orange wedges. Cook for 2 min, switch off the flame and transfer these caramelized orange slices to a plate for later use. Now we need to make the Cake Sheet. It is important that the cake sheet stays moist so I used oil in the recipe. But what about richness. So to richness and flavor to the recipe, I added butter. 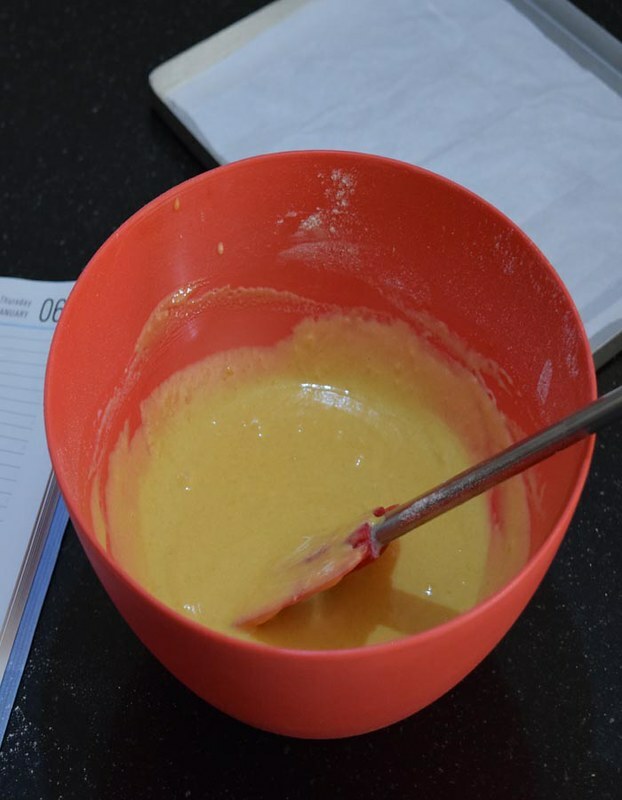 In a large mixing bowl, take condensed milk. Add orange juice, butter, oil, and vanilla essence to it. Remember to whisk everything that blends all the ingredients together. 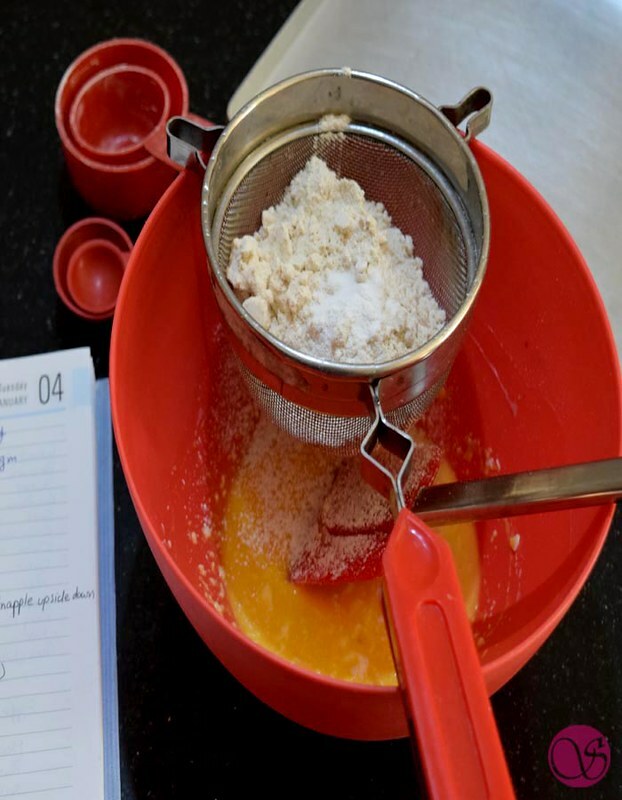 Using a sifter, sieve whole wheat flour, baking powder, baking soda, and salt together. Mix dry ingredients with wet ingredients. Add milk to the batter and bring it to smooth and pouring consistency. Now add vinegar to the recipe and keep it aside for 5 minutes. Now Line a baking tray (9” x 11”) with parchment paper. You may grease the tray with butter but for easy de-molding, I always prefer using butter paper or parchment paper. Tip: Parchment paper helps to keep the shape of the cake completely intact. Pour the batter into the tray and tap it on the counter. This ensures that there are no air bubbles left in the batter. Now bake this batter in a preheated oven for about 10 minutes. Ensure that you are not over baking the cake otherwise, the cake will become dry. Once the cake is baked, take out the tray from the oven and de-mold it. Let the cake rest on a cooling rack for some time. I decided to make an “S” and design it. You may draw any number or alphabet of your choice. 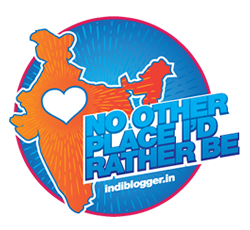 Draw the number or alphabet on a butter paper and make cutouts. 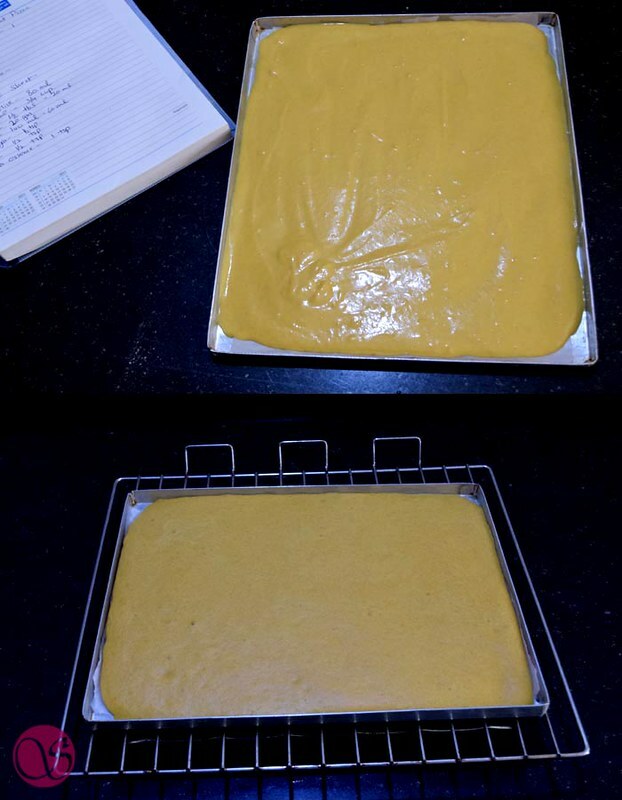 Place the cut out on the baked cake sheet and cut two similar portions of cake from it. We will pipe chocolate ganache in between these two cake cutouts. Fill chocolate ganache in a piping bag and pierce the tip. Place one cut out of the cake and pipe the chocolate ganache on it. Place the second layer of cake cutout on top covering the ganache. Using the piping bag again pipe the ganache on the second layer. 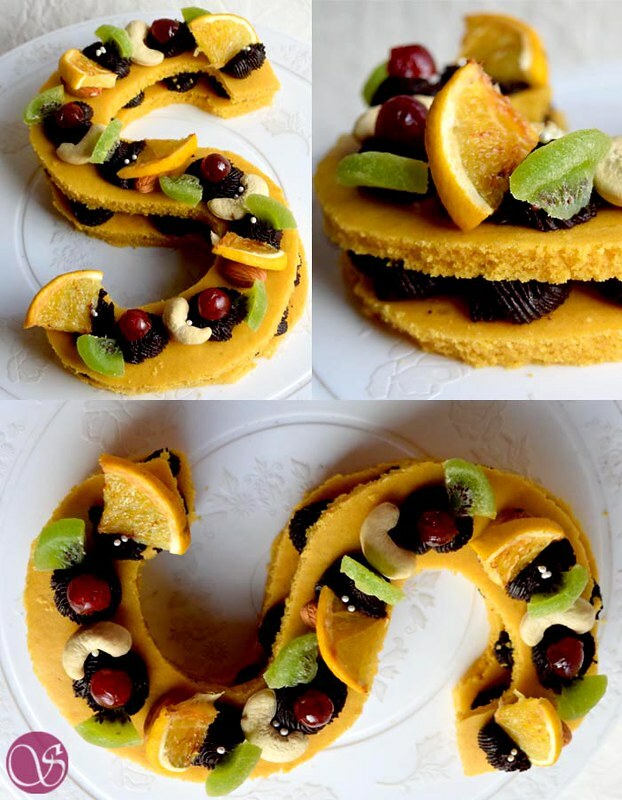 Decorate the cake top with glazed orange wedges, nuts, and fruits. You got to be creative in this to make it appealing to eyes. And that is it. You just made an excellent version of a French pastry. 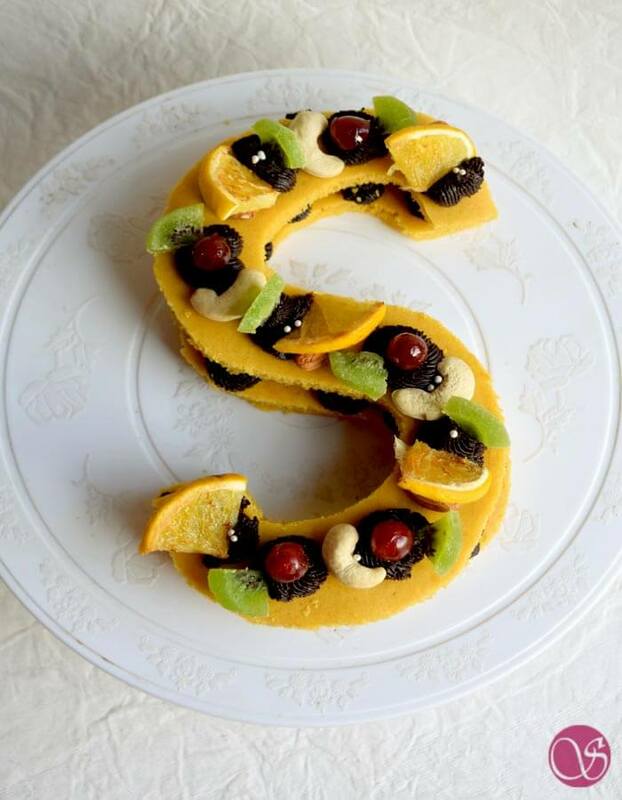 This wonderful looking, lip-smacking dessert will make you a rock star of your get together. Be ready to rock now. Inspired by traditional Mille Feuille recipe, I have made this exotic French pastry millefeuille. The delicious Mille Feuille cake is an eggless orange sponge. I have used dark chocolate ganache and that makes this millefeuille more tempting. Get ready to rock your next get together.